Caricatures of Burmese politicians, picturesque paintings of Burma’s landmarks and a celebrity football match will keep you busy in Rangoon this week. 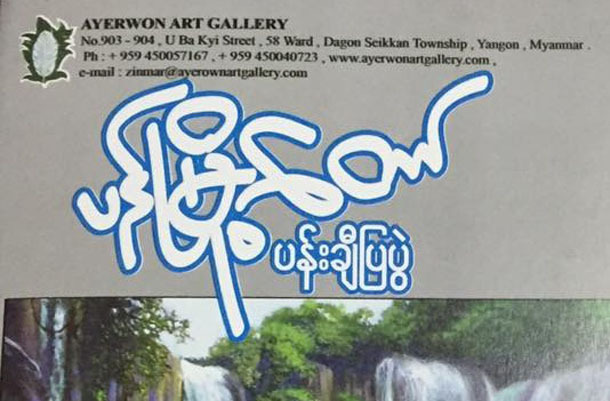 A group art exhibition titled “Pan Myodaw” (“flowers city”) will be held at Ayerwon Art Gallery. Some 100 paintings from 33 artists will be available, with prices ranging from US$100 to $500. 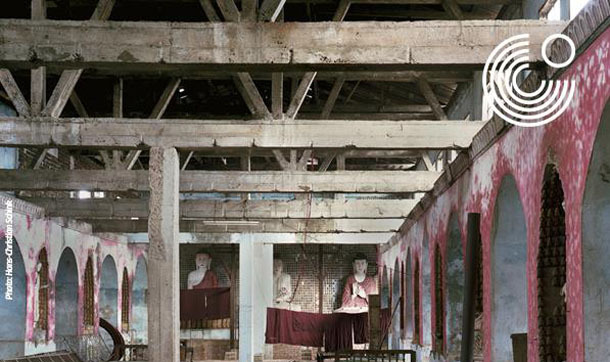 Hans-Christian Schink is considered one of the most talented photographers in Germany and has been to Burma on four separate occasions in the past three years to produce work including images of the pagodas of Bagan, Rangoon bridges and landscapes of various provinces. He will present an overview of his extensive body of work. Where: Goethe-Villa, No.8, Koh Min Koh Chin Road, Bahan Tsp. Zaw Paing will debut his first solo art exhibition at Lokanat Galleries. Titled “Beauty of Nature,” the exhibition will feature a total of 25 watercolor paintings, with prices ranging from $200 to $300. 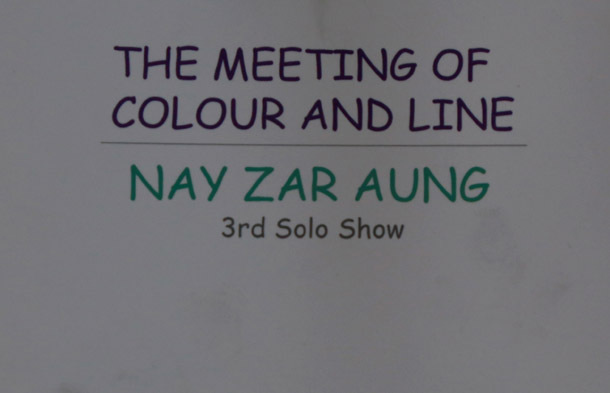 Nay Zar Aung will present her third solo exhibition at Lokanat Gallery. 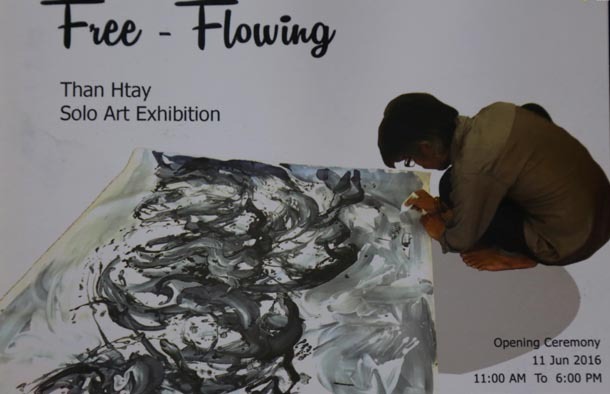 Than Htay will hold his “Free-Flowing” art exhibition at Nawady Tharlar Art Gallery. Some 15 pieces will be available, with prices starting from $2,500. 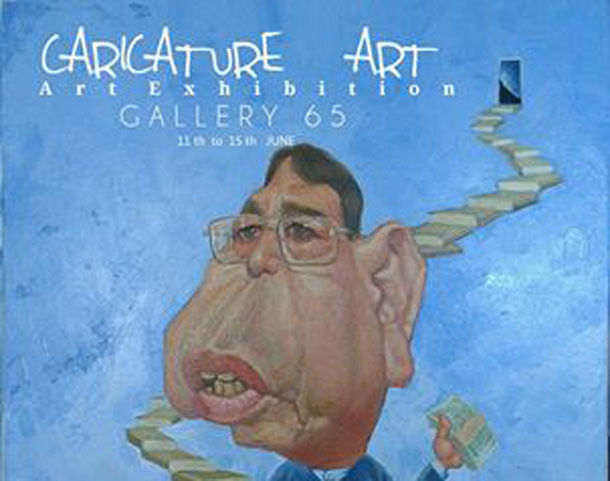 Eight caricaturists will organize an exhibition titled “Caricature Art” at Gallery 65, showcasing around 50 caricatures of prominent Burmese artists, politicians and celebrities. Where: Gallery 65, No. 65, Yaw Min Gyi Road, Dagon Tsp. 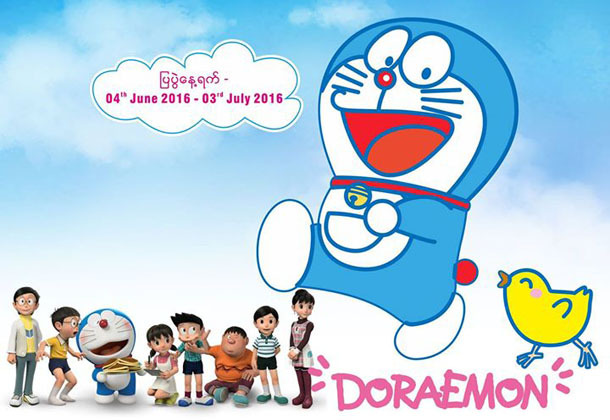 Burma’s first-ever Doraemon exhibition will be held at Rangoon’s Golden City complex. Released in 1969, Doraemon is one of the most popular manga series in Japan. Over 100 characters from the series will be exhibited at the show. Ocean Supercenter will hold a book fair at its North Point Branch in Mayangon Township. A number of publishing houses, including Seikku Cho Cho, Today, Quality and Kankaw Wut Yi, will be participating in the event. Some books will be available at a 10 percent discount. Where: Ocean Supercenter (North Point Branch), at the corner of Pyay Road and Tawwin Street, 9th Mile, Mayangon Tsp. 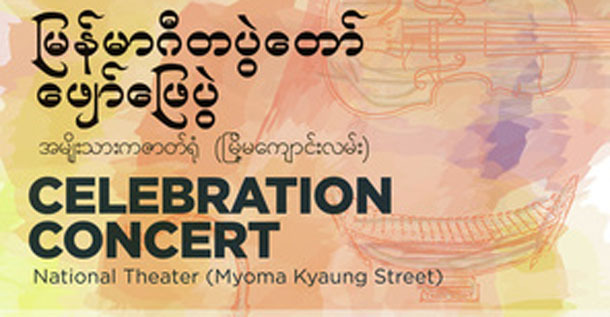 The Myanmar Music Festival will be held at the National Theater. International classical musicians including US pianist Min Ball and Malaysian mezzo-soprano will join traditional Burmese musicians to provide an entertaining show. Where: National Theater, Myoma Kyaung St., Dagon Tsp. 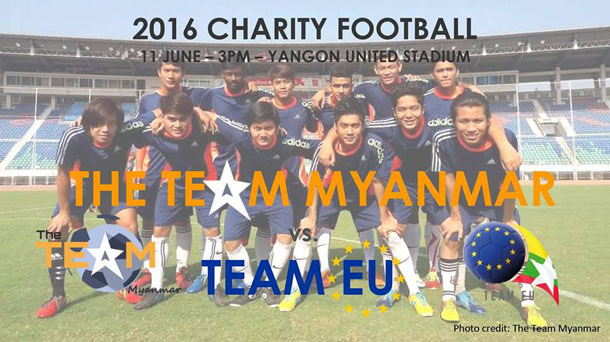 Actors from The Team Myanmar, a TV drama jointly produced by Common Ground Productions and Hninsi Yinkwin Production with funding from the European Mission, will play against a team composed of members from the EU Mission to Myanmar on Saturday, June 11. All funds raised will be donated to the Third Story Children Books project. Where: Yangon United FC Football Stadium, Insein Road, Hlaing Tsp.